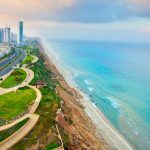 is a northern Israeli port city, stretching from the Mediterranean coast up to the slopes of Mount Carmel. It has beautiful green, clean neighborhoods, which are amongst the prettiest in the country. The view from the top of Mount Carmel in the Mercaz Ha’Carmel neighborhood, overlooking the Bahai Gardens and the Haifa Bay is quite breathtaking. The Bahai Gardens, which contain the Shrine of the Bab (the Prophet-Herald of the Bahai faith) are the world headquarters for the Bahai. 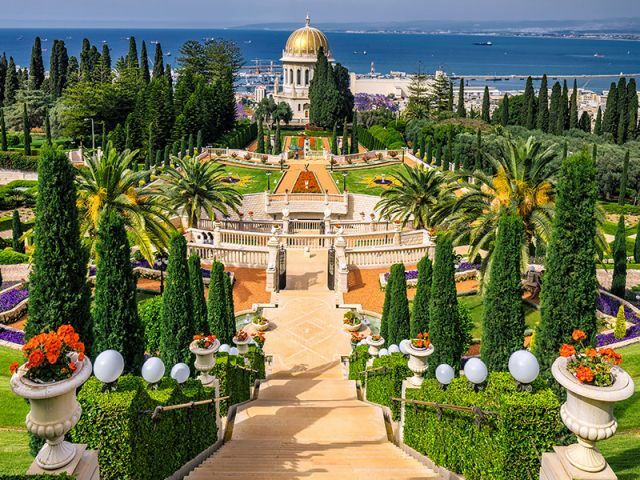 The gardens themselves are outstanding in their beauty, and an unmissable stop in Haifa. At the base of the Bahai Gardens is the German Colony; one of the earliest modern settlements on the Carmel. Established by the Protestant Templars at the end of the 19th century, today the neighborhood is full of boutique shops and restaurants and has a vibrant atmosphere. 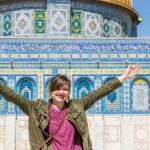 Very different, but equally enjoyable is Wadi Nis Nas; a colorful market area with sounds, sites, and smells that will assault your senses! 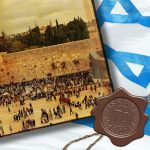 The Carmel Range is intrinsically associated with the prophet Elijah, and in Haifa you can also visit Elijah’s Cave, a holy place,where tradition says Elijah lived, taught, and prayed before challenging the prophets of Baal. The site is important to Jews, Muslims, Christians, and Druze, all of whom consider Elijah to be a holy man. 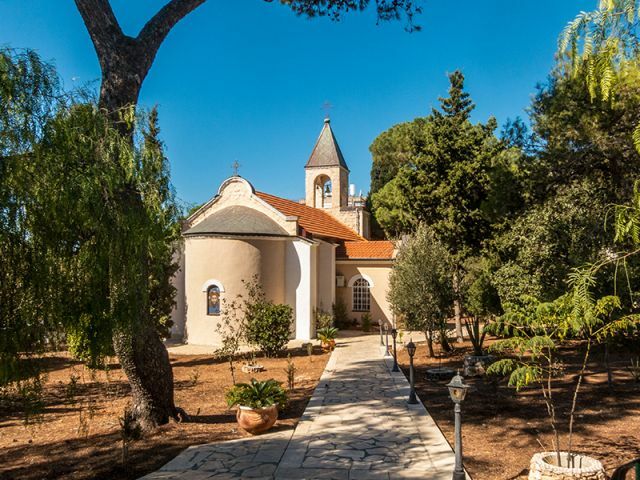 Another wonderful place to visit in Haifa is the Carmelite Monastery of Stella Maris, a 19th-century monastery on the summit of Mount Carmel. Take your time and step inside the church — a beautiful building made of colorful Italian marble and decorated with ceiling paintings. 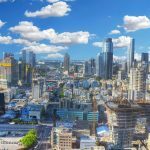 The Carmel is sometimes translated as the “Vineyard of the Lord”, and its major city, Haifa has long prided itself as a bastion of religious and cultural harmony. 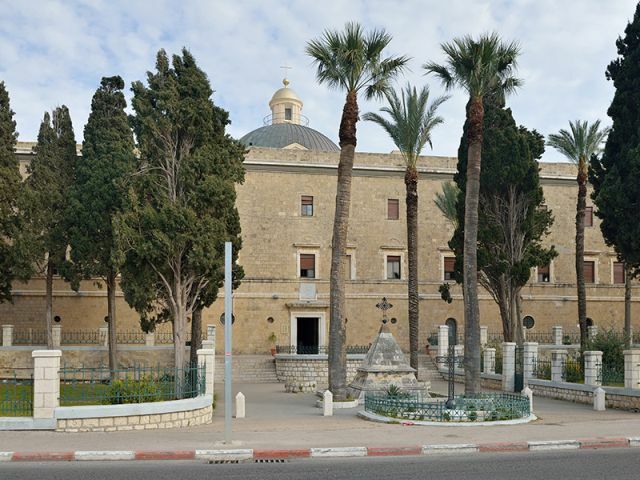 Its churches, mosques, and synagogues of the city are all open to the public.